Some books fade fast, their effect fleeting. Other books remain, powerful and potent. Shirley Jackson wrote those sorts of books. They haunt the reader for a long time after the last page. I’ve long been a fan of Shirley Jackson; well, that’s not quite accurate. 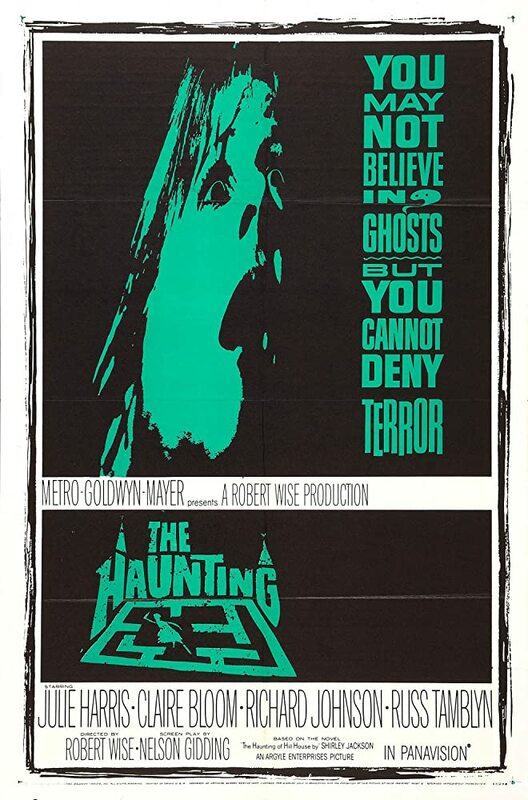 I was a fan of The Haunting of Hill House, the iconic haunted house story to end all other haunted house stories. The recent series on Netflix has brought a whole new generation into Shirley’s baleful literary influence, but for me it was the movie from 1963 that started my love affair with the book. The words conjure up a house that seems normal enough. Walls continue upright, bricks meet neatly, floors are firm, and doors are sensibly shut. But upright walls, neat bricks, firm floors, and shut doors only service to trap something deep inside the house; something silent and dark. The house is immediately (and simply) presented as a living organism. Why else personify it with a state of mind (‘not sane’) if the house isn’t conscious in some way. The house is presented as a character and that’s possibly why the opening paragraph is so eerie. Years later, after having read The Haunting of Hill House every October (alongside The October Country by Ray Bradbury) I decided to expand my Shirley Jackson repertoire. All of her books were thrilling and terrifying, with their tales of rampant insanity and isolation, be it physical or personal. But the one book that really grabbed me is Shirley’s other masterpiece. We Have Always Lived In The Castle doesn’t feature any supernatural forces. The magic detailed within is a very loose sort of magic, the kind created by a child who believes in ritual and the power of words. However, like the rest of Shirley’s work, this book is a character study. Whenever a reviewer describes We Have Always Lived In The Castle, the words ‘southern’ and/or ‘gothic’ usually pop up alongside each other. And I’m no different: this book is Southern Gothic. But what it offers is considerably more subtle than your typical Virginia Andrews novel. It’s apparently coming to cinemas next year, which means it might be a brilliant movie that’s remade into a terrible movie decades later. Then it’ll become an acclaimed Netflix binge-watching experience. For me, Shirley Jackson’s fiction has the same effect. Each book turns me into a binge-reader. I’ll read them while eating (I eat a lot), while I’m in the bath (detox Radox thank you very much), while I’m on the bus or train (no I don’t want a muffin) and sometimes while I write blogs like this one. There are plenty of other wonderful novels from Shirley that could be brought to an entirely new audience, other source material to plunder. I would welcome it. There might be other readers out there on the cusp of discovering Shirley. All it takes is one decent movie version of her books and that’s a new reader. After all, that’s how my love affair with Shirley Jackson started.